Our pupils use the internet on a regular basis as part of their learning. In school, we have regular e-safety activities and focused lessons to not only educate pupils on the importance of keeping themselves safe online but what to do if they find themselves in a situation that makes them feel uncomfortable. We must work together to ensure our children are safe and ensure they always behaviour appropriately. Technology is changing very rapidly and sometimes it is hard to keep up. Below is a link to a website that contains useful guides for parents about popular social networking apps snap chat, Facebook and Instagram. Children can use apps on smartphones, iPad, iPod… anything with an internet connection. If your child has these apps, please review their usage frequently and teach them how to use them appropriately. 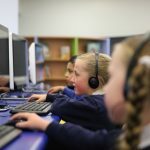 Think U Know– containing internet safety advice for those aged from 5 to 16, along with parents and teachers, this site is produced by CEOP (the Child Exploitation and Online Protection Centr e). 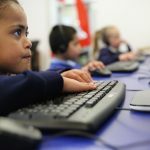 ChildnetPrimary– lots of useful advice for keeping yourselves and your children safe on the Internet.